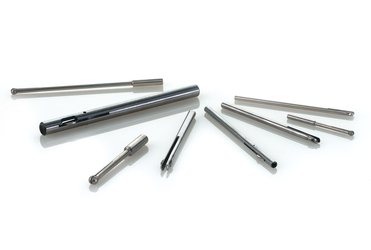 Reverse deburring tools are used manually or with a machine. 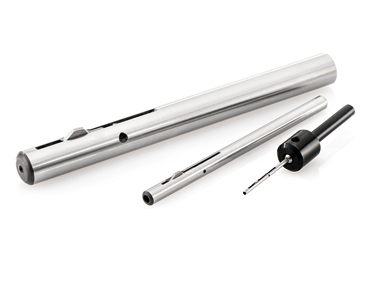 With their different cutting insert materials and cutting angles, they are capable of removing all kinds of drilling burr from the front and/or rear side of borehole with the utmost speed and process reliability. Burraway deburring tools have a replaceable low-cost cutting blade which can be variably adjusted to remove different sizes of drilling residue. This universal deburring tool reliably removes burr on both sides of the borehole, while it only has to be applied from one side. The Burraway can be used both in CNC machines and in drilling machines, no special settings are required. 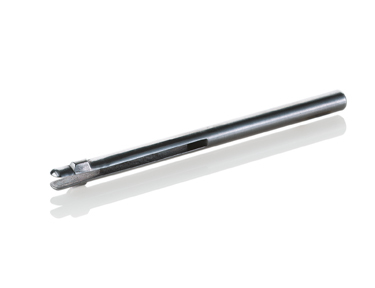 By means of the slotted configuration, the tool performs the deburring process under spring pressure. The integral cutting edges deburr the front and rear of the drill hole.